"Download and play a fun dentist game!" 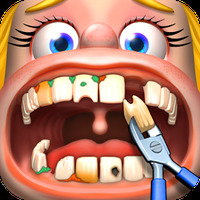 Crazy Dentist is a game for kids in which the player experiences the work routine of a busy dentist who has to perform many dental treatments for his patients. The player must choose one of four patients and start the treatment. Each patient comes a lot of dental problems; the dentist must solve them using the right tool. When a tool is selected, the player will see an animation of what problem can be treated with it. In Crazy Dentist, graphics were produced with vibrant colors and stylized nicely to please children. The characters are funny and each of them requires one or more specific treatments. The sound effects give realism to the game. Each instrument emits the characteristic sound, for example, the sound of the famous little motor that give you the creeps. 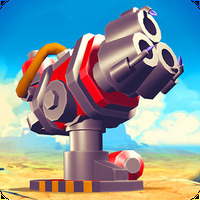 The game controls are very simple, and respond perfectly to the needs of the target group, i.e. children. To carry out the dental care, the child simply drags the tool to the tooth and, in some cases, follows visual instructions. Free. Suitable especially for children, since apart from having fun, it also has an educational character. Installation requirements: A minimum of 20.58 MB of free memory space and Android 2.3 or higher. 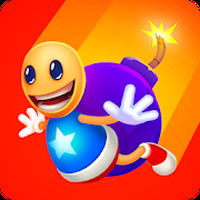 Ranking: The TOP 5 Most downloaded games in Fun Games category. Several options for dental treatments: caries removal, whitening, dental household equipment, etc. You can help children lose their fear of going to the dentist. The game quickly becomes repetitive; it has no score or levels. The game is often interrupted by ads. Limited number of characters and tools. Do you like Crazy Dentist - Fun games?